10545 SE 178th Street, Summerfield, FL.| MLS# 550378 | Spruce Creek Realty...Retirement Communities in Florida, Resale Homes In Spruce Creek South, The Villages, Stonecrest, Del Webb. Updated Open Chestnut w/private yard & open view of retention pond in back. Plus golf cart garage, glass enclosed Lanai & covered front porch. Laminated wood flooring throughout, tile floors in laundry room & both baths. 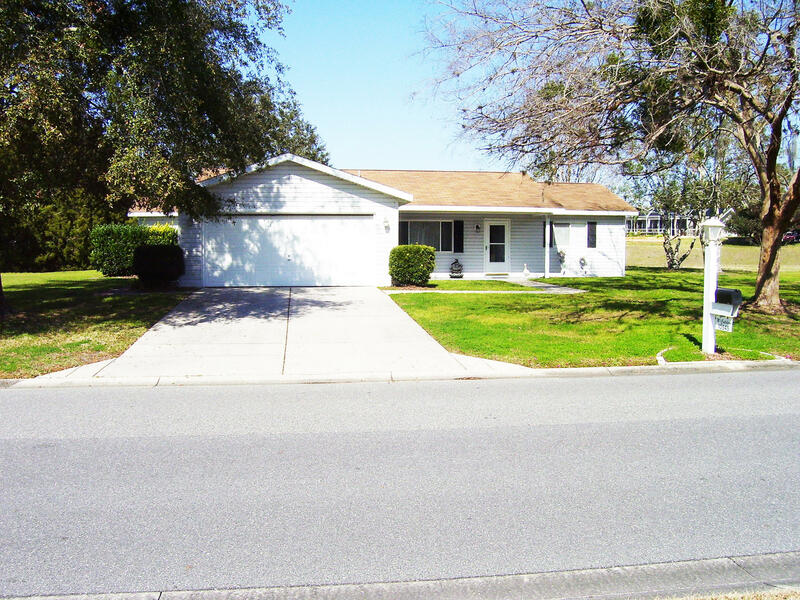 Kitchen w/updated cabinets, quartz counter-tops, newer sink/faucet & newer appliances. Newer cabinets & counter-tops in both baths. Master bath has newer clear glass shower door. Textured ceilings (no popcorn). Electric roll down screen on garage overhead door and laundry sink in garage.